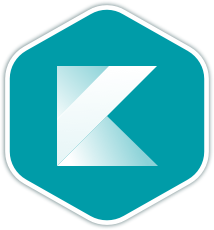 Kotlin is a pragmatic programming language for JVM and Android that combines OO and functional features and is focused on interoperability, safety, clarity and tooling support. Our mentors are friendly, experienced Kotlin developers who will help teach you new techniques and tricks. Kotlin was designed and developed by JetBrains, the company behind IntelliJ. It is a language that runs on the JVM which can target versions 6+ (including the Android platform). JetBrains wanted to use a statically typed language which can remove Java boilerplate code, provide modern functional paradigms, and had seamless two-way Java interoperability with their existing codebase. The JVM already had alternate languages like Groovy and Scala but neither fit the bill with their desired criteria, so they built Kotlin. Kotlin syntax is similar to Scala and Swift but pulls in the best-of-breed features from other languages such as C# and Groovy. Kotlin took a pragmatic approach at features included in the language by only providing functionality that has been proven to be useful for developers. With this decision they implemented a subset of features of Scala with the intent that it will provide more maintainable code with an easier learning curve for developers looking for a "better Java". JetBrains has a dedicated team of developers working on Kotlin with the codebase available on Github. Once you join the Kotlin language track, you will receive support and feedback from our team of mentors. Here are the bios of a few of the mentors of this track. I work as an Android developer on one of the oldest apps in the UK Play Store. We have been using Kotlin as our primary language for around a year now, and I'd like to help others develop their skills while at the same time developing my own. I have been a developer for about 15 years, working daily with Java. I love learning new languages and am trying to learn and adopt a functional programming style. I have been a web developer for quite some time. I really like Kotlin because it's design the way a would write a new OO language. I hope we can learn it a little bit better on this track. I love to share the knowledge. Kotlin similarities with other modern programming language brought me into it. Currently working on building mathematical foundations for data science. I've been slightly addicted to Kotlin ever since I first used it, coming from Java a few years ago, so much so that I started a Kotlin User Group in my area and am regularly holding talks about it. These are a few of the 64 exercises on the Kotlin track. You can see all the exercises here. The Kotlin Maintainers are the brains behind the Kotlin Track. They spend their spare time creating interesting and challenging exercises that we can all learn from. We are incredibly grateful for their hard work. Here are the bios of a few of the maintainers of this track. I am a software developer and consultant working for Black Pepper Software, a software company based in Leamington Spa, England. I'm a recent Computer Science graduate from the University of Warwick, and love all things to do with computers! Get started with the Kotlin track. As with everything on Exercism, it's 100% free!